Rubies are only created when very specific minerals are combined together, the most necessary of which is corundum. Corundum occurs when aluminum oxide undergoes a process referred to as isomorphous, in which some of the aluminum ions are substituted with chromium. The red color varies in depth and clarity, but any color variations that deviate from the red varieties are classified as sapphires. Certain minerals can cause a ruby to display a star-shaped light-reflection pattern when the stone is cut onto a carbochon shape. This can often be found in rubies containing traces of minerals such as titatium or rutile. 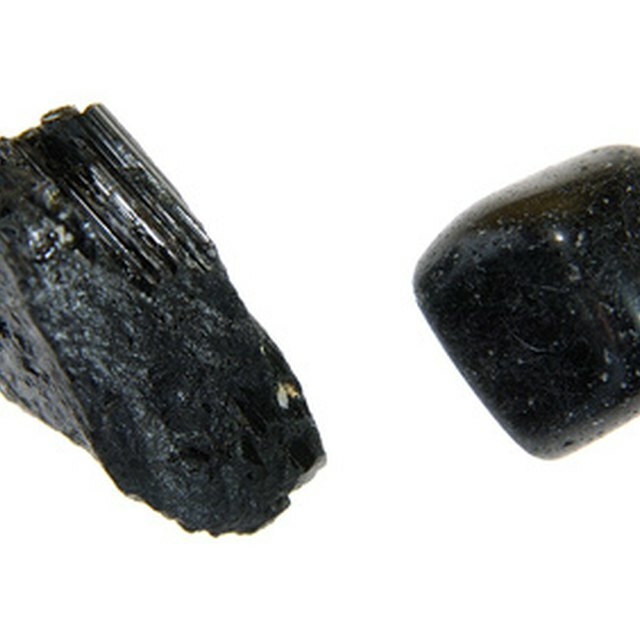 Corundum is naturally colorless and is one of the hardest minerals known on Earth. 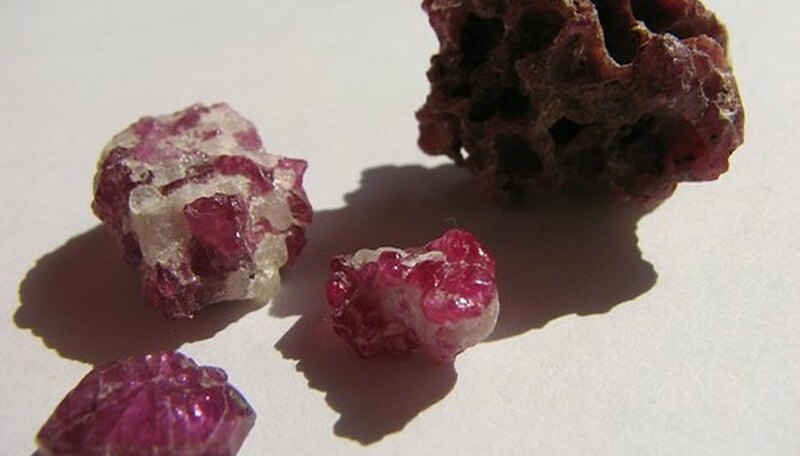 When combined with certain elements in trace amounts, corundum produces a wide variety of reds. When the aluminum oxide and trace elements are exposed to high pressure and extreme temperatures, they become the molten mixture in which the ruby crystals will form. When chrome, titanium, iron, vanadium or rutile, or even a combination of the metals, are included in the aluminum oxide mixture, the result is the fiery red color associated with the ruby. Rubies can be uniform in color, have hues of blue, purple, or orange, be bi-colored or even multi-colored, but are always a variety of red. The crystals form as the molten mixture is cooling. The rate at which it cools will determine the clarity and size of the crystals, as well as how many rubies that will form. When the mixture is allowed to cool over a long period of time, larger rubies are formed. If the mixture cools too quickly, it can limit - or even prevent the formation of rubies. Ruby crystals are formed with straight growth patterns and are hexagonal in shape with smooth sides. Jordan, Christi. "How Do Rubies Form?" Sciencing, https://sciencing.com/rubies-form-4963260.html. 24 April 2017.